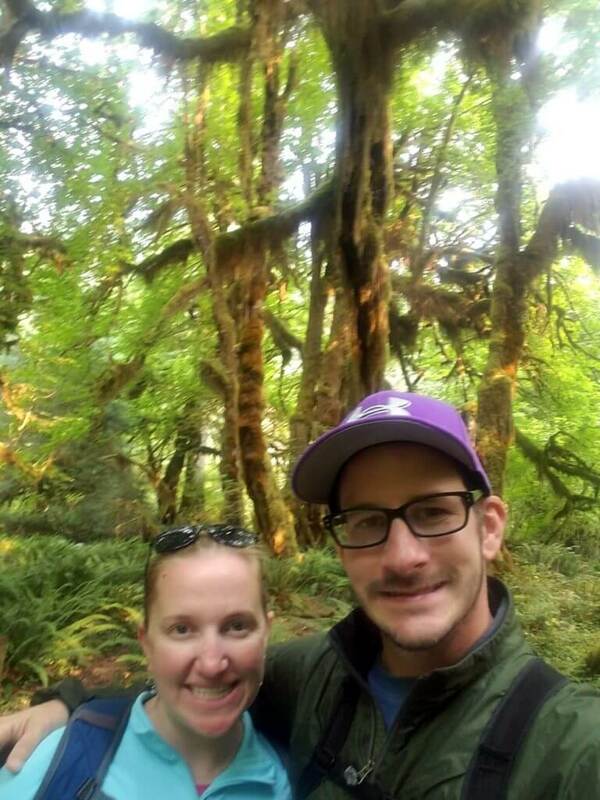 Kristen’s Story: National Parks, Chicken & Waffles, and Sport Stadiums – All With Points! Kristen is our newest reader success story to show folks it’s possible to travel without spending a lot of money. A big thank you to Kristen for sharing her story! Hi, my name is Kristen Leclaire. I began collecting points and miles when I got my first airline credit card in 2010. Prior to this year, most of my traveling has been international. And I’ve gotten free flights to Curacao, Peru, and Ecuador in the past. I learned about the Southwest Companion Pass from a friend last year, made it my mission for 2017, and was able to earn it this year. So far, I have used it 26 times! I have been on 3 trips that involved reward redemptions since the beginning of September 2017. First, we went to the National Parks in Washington State for a week. Since traveling to Bryce, Zion, and the Grand Canyon last September, my boyfriend, Rob, and I have become National Park junkies. We have almost inadvertently found ourselves on a mission to visit all of them and our Southwest Companion Pass is helping us get there. 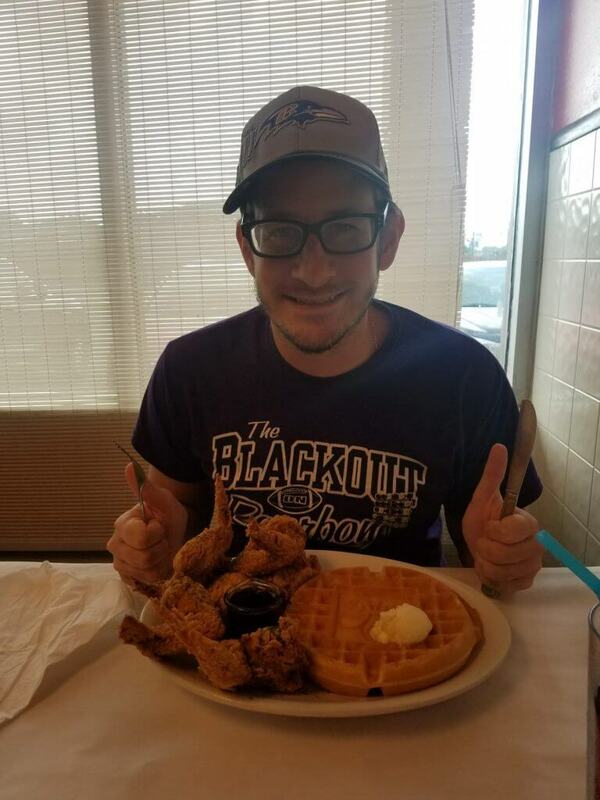 We are also working on visiting all Major League Baseball parks and Rob is trying to eat chicken and waffles in every state. This trip helped us check off something on each of these lists. We visited North Cascades, Mount Rainier, and Olympic National Parks (parks #9, 10, and 11), Rob ate chicken and waffles twice in Washington (state #23) and we had one night in Seattle prior to flying home, so we caught a Mariner’s game and visited Safeco Field (MLB park #7 for us, I’ve also been to 2 that we haven’t gone to together). I booked my flights with Southwest points (23,000 points round-trip). And then Rob traveled with me for the cost of taxes and fees as my companion. After we got back from this vacation, we worked for a week and then were off for a quick 3-day trip to New Orleans to catch my beloved Patriots play the Saints. Because we are also Boston College football season ticket holders and their biggest game of the year (Notre Dame) was that Saturday, this necessitated a very early (5:30 am) flight on Sunday. Domestically, prior to this trip, we had been exclusively flying Southwest this year because of our Companion Pass but Southwest did not have any flights early enough to get us to New Orleans in time for a noon-time game. I had a large number of points on JetBlue as well, thanks to consistently getting 2,000 points per month from E-Rewards surveys and using my Barclaycard JetBlue Plus card for all restaurant and grocery purchases (that earn 2 points per $1 spent in those categories). So I was able to book flights that got us to New Orleans by 9:30 am for both of us for 30,000 JetBlue points total. And, I had $15 in my travel bank from a broken TV on a flight last November so I applied that to our taxes and fees and got the flight 100% for free! 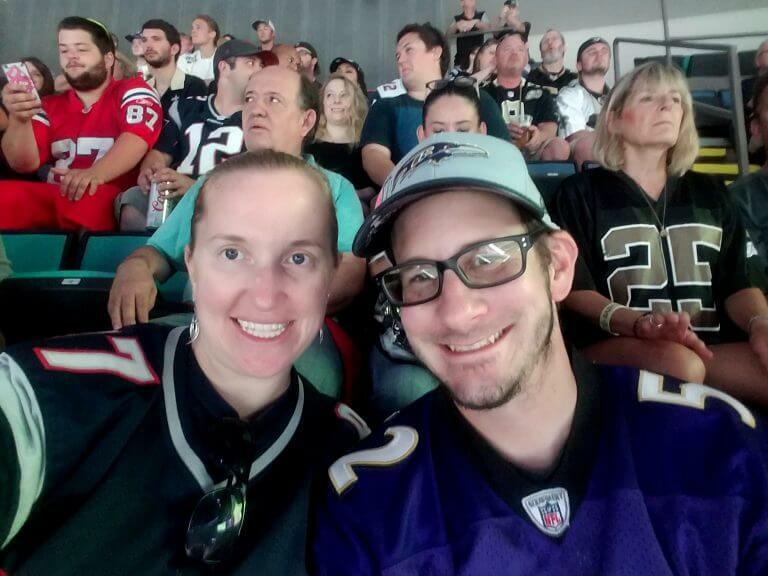 During this trip, we checked off an NFL stadium (Mercedes-Benz Super Dome, we are also working on visiting all NFL stadiums) and 2 states for chicken and waffles (#24 and 25) for Rob. We scooted over to Biloxi for a day because we didn’t think we’d ever find ourselves in Mississippi again. Last weekend, we headed to Hot Springs National Park for the weekend. Flight prices were a little more than I wanted to pay in cash for just a weekend (I’ve been paying for my flights when it makes sense as I am also trying to earn Southwest A-list elite status) so I decided to book this trip on points. And paid around 18,000 Southwest points for round-trip flights. Again, Rob traveled with me for free as my companion. We spent 2 days at Hot Springs National Park (National Park #12) and Rob checked off another state (#26) on his chicken and waffles mission! I only started collecting Southwest points a year ago. I applied for the credit card, from a friend referral, last October and have been using it as my every day card since last December. I intentionally didn’t use it much late last year because I wanted to time my spending so my 50,000 bonus points would post in January. I have earned 200,000+ Southwest points this year through a combination of flights, credit card spend, hotel stays (Rocketmiles or SouthwestHotels.com) and rental cars booked through Southwest. I have been collecting JetBlue points since 2014 but have been using them as I go. I typically take several free JetBlue flights a year. Southwest points for Washington and Arkansas. JetBlue points for New Orleans. 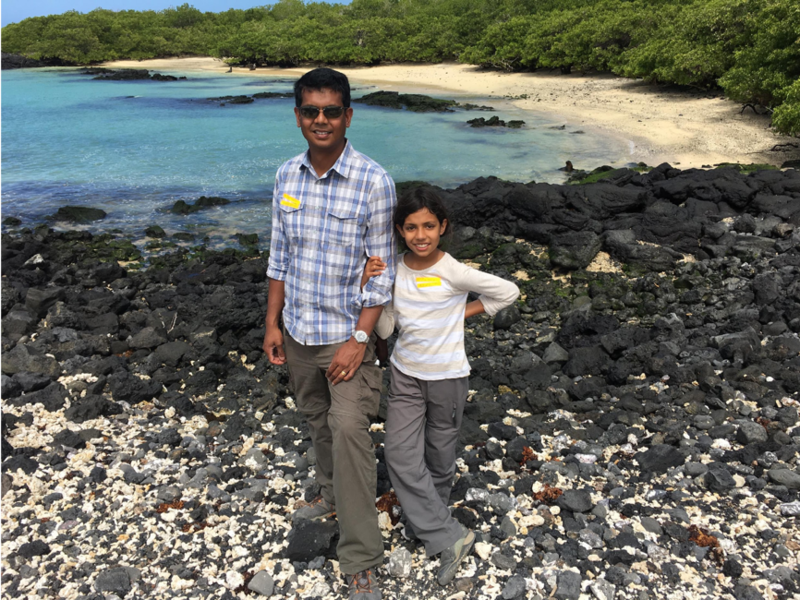 My 2 primary travel cards are my Southwest Rapid Rewards® Premier Credit Card – this is the card I use for all of my spending with the exception of grocery and restaurant spend. Both Southwest and JetBlue make it very easy to find award flights. I just searched on their websites and changed the price option to points. I usually check both Rocketmiles and SouthwestHotels.com for hotels, looking for the best deals. I have typically found the fees on SouthwestHotels.com to be less. For our Washington trip, we needed 4 hotels – 2 nights at each National Park and then 1 night in Seattle prior to our flight home. I searched routes for the best order to visit the parks and quickly came to the conclusion that I did NOT want to drive between North Cascades and Olympic, because every route Google Maps gave me involved a ferry. I actually Googled “what order should I visit Washington National Parks in” and found a sample trip itinerary that suggested North Cascades, Mount Rainier, Olympic – in that order. I found the best deals in Washington on SouthwestHotels.com and ended up earning 11,000 of the points that I’d spent on the trip back (plus double points for the cost of the hotels charged on my Southwest card from partner points). 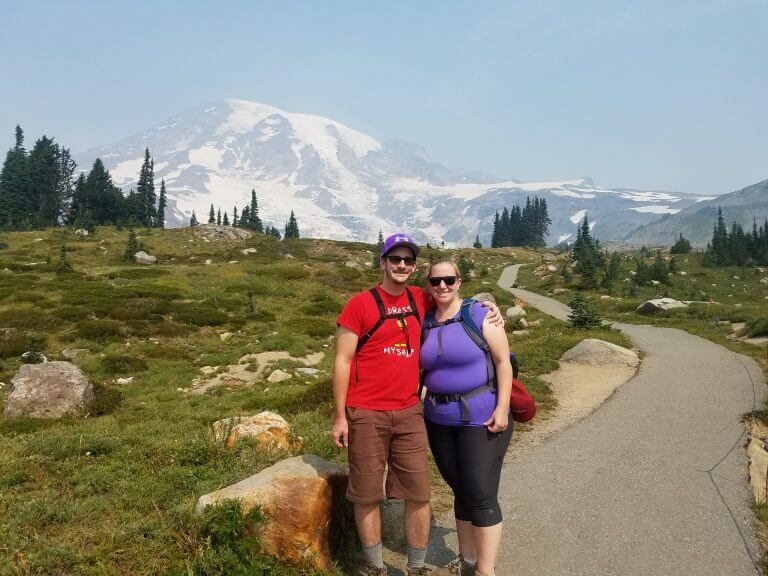 Washington: We ended up at North Cascades, the least crowded of the 3 parks, on the Sunday / Monday of Labor Day weekend and at Mount Rainier and Olympic on the weekdays, when they were less crowded. New Orleans: There were no flights later than 4:oo pm on Saturday and, being that we had a college football game to attend that afternoon, there were no flights that we would have made. As I referenced above, because Southwest’s flight schedule didn’t have an option that would get us to New Orleans in time for the game, I went to JetBlue and found a 5:30 am flight with a quick layover at JFK that would have us in New Orleans by 9:30 am. 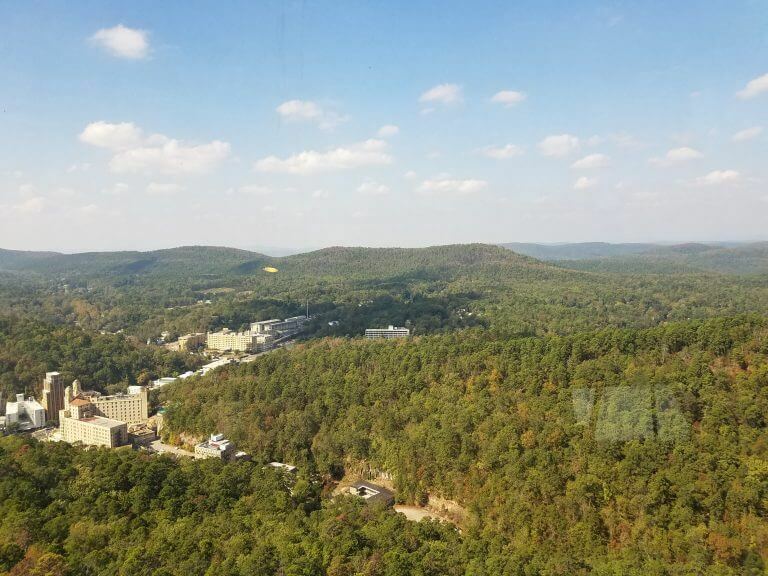 Hot Springs: The flight schedules to Little Rock are, shall we say, limited. The latest flight on Friday night was at 6:30 pm and the earliest flight on Saturday morning wouldn’t get us there until mid-day Saturday, which wouldn’t have given us enough time for just a weekend trip. I work close enough to public transportation that I can get to the airport relatively quickly from work so we decided to take the 6:30 am flight. Rob dropped me off at the train on his way in, I took public transportation to work and then to the airport, he took my car (that has our EZ Pass) and drove it to the airport to meet me there. Washington: Everyone knows Olympic and Mount Rainier National Parks. North Cascades is also gorgeous and well worth the trip. New Orleans: Ma Momma’s House of Cornbread, Chicken, and Waffles is currently ranking #3 on our list of top chicken and waffles for the year. Hot Springs: Hot Springs National Park is the smallest National Park, and I never would have known about it had I not started following National Park pages on Facebook. Visit the Buckstaff Bathhouse for a traditional bath and the Quapaw Spa for the thermal pools. 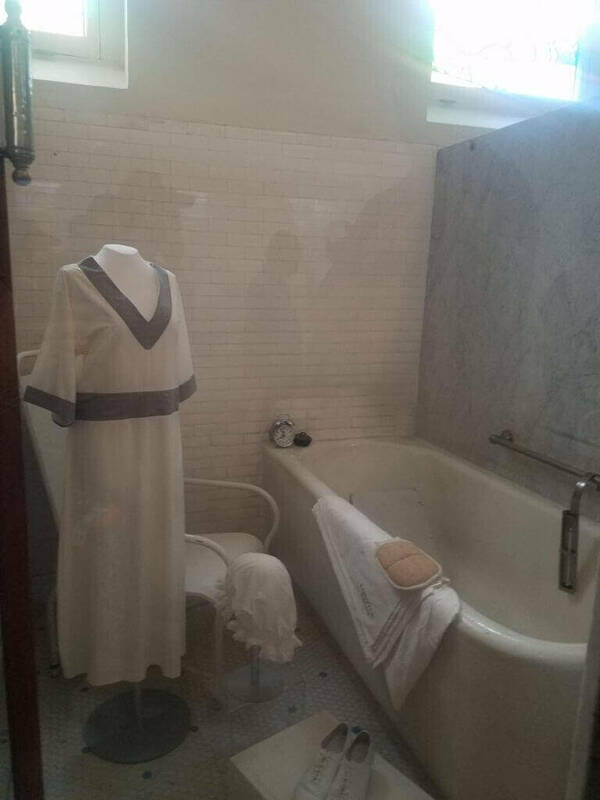 Go on a free guided tour of the Fordyce Bathhouse. Something I have continually learned over the last decade plus is that the more that I travel, the more I want to travel. I am always planning my next trip in my head. And, over the last 13 months, I have learned how much I enjoy visiting our National parks. Prior to last year, the only National Park I’d ever been to was Acadia. Since last September, I have been to Zion, Bryce Canyon, the Grand Canyon, Acadia (again), Biscayne, Everglades, Mammoth Cave, Great Smoky Mountains, North Cascades, Mount Rainier, Olympic, and Hot Springs. Next up is Death Valley, Joshua Tree, and Channel Islands! Any time you take a flight you pay for, you should be earning points. 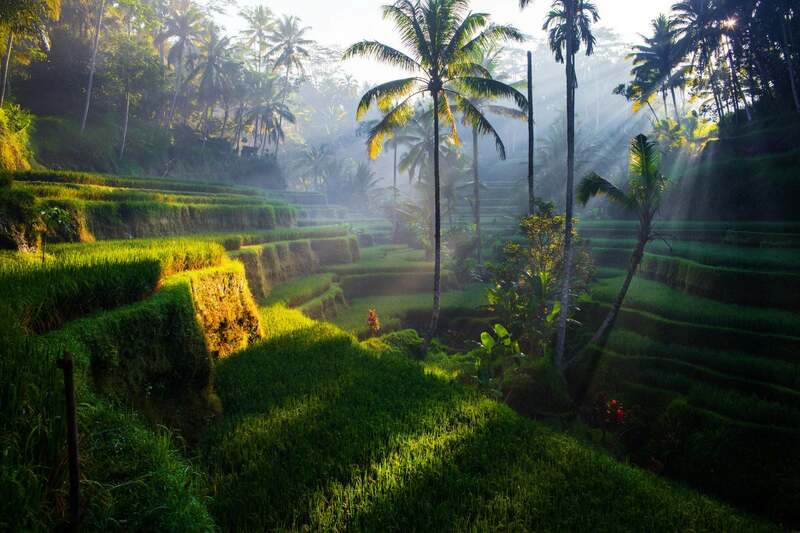 Sign-up for any and every airlines rewards program that you can. The best way that I’ve found to accrue points rapidly is with airline credit cards, but make sure you only charge what you can pay off every month. These cards have very high interest rates if you don’t pay your balance in full. Also, there are a lot of random ways you can earn airline points. I earn 2,000 JetBlue points each month by taking surveys. If you plan on visiting many National Parks, definitely buy an annual pass. I love southwest and jetblue too!! I think it would be fun to have a goal like yours…thanks for sharing your story!! My wife and I have been trying to reach the same goals with the Companion Pass. We have had the pass since 2013. We have completed our goal of visiting every MLB baseball stadium and have so far visited 41 US National Parks. By doing this I have now been to 49 states and my wife to 48. Kristen and Rob, any plans to Portland, OR? We don’t have MLB or NFL but we do have the best fried chicken and waffles in the country. If you make it to Portland, try Screendoor Restaurant. Thanks for the tip! You guys do have an NBA team and there is a chance we will come through Portland at some point when we visit Crater Lake.